Resident accounts can be added, approved, deactivated.Bulk upload from spreadsheet to create Apartment Resident Accounts. Upload all scanned Manuals, Receipts of Various Facilities in the Apartment Complex. 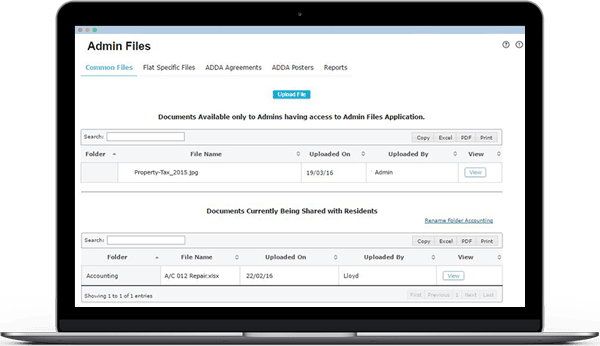 Once document is ready to be shared with all residents, one click publishing sends it to the Document Repository. A resident can lodge two types of Tickets - Personal and Community. "Personal Tickets" can be viewed only by the resident and other members of his or her flat. "Community Tickets" can be viewed by all residents. All Tickets can be viewed and acted upon by the admin. 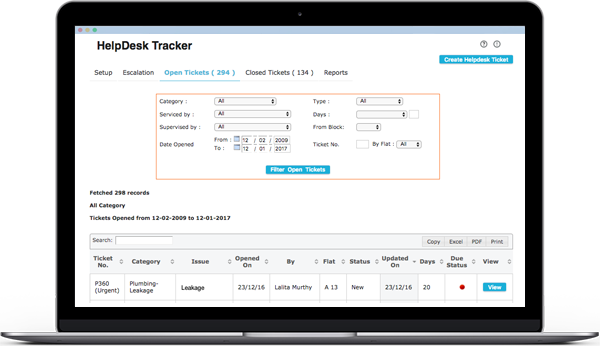 Driver for each Ticket can be assigned, status can be changed with relevant notes. Tickets can also be raised from the Android Application - Install from Google Play. Long running projects can be logged under customizable categories, responsibility and status can be assigned. Ensures continuity of work on projects - easy hand over of projects if the issue owner is going to be away for a long while. 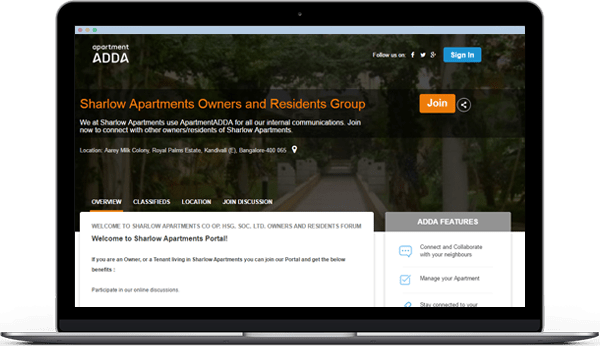 ADDA sends automatic Email and SMS Reminders for the participants. Close the Meeting and share the Report by Email to all Invitees. 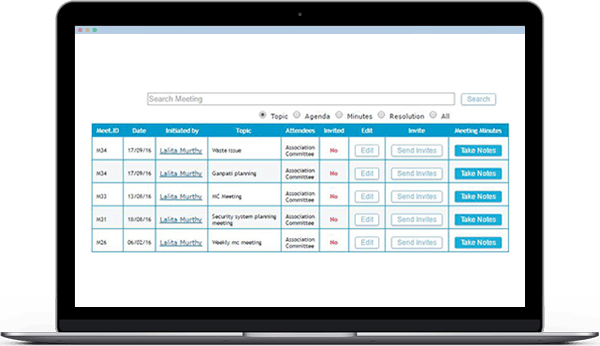 Quickly Create Recurring Tasks and monitor tasks and assign them. Information on capital assets can be stored in this application - Asset name, tag number, purchase price & date, scanned documents etc. Service providers can be assigned to each Asset. Email or SMS alerts can be setup for preventive maintenance appointments, renewal of AMC contracts etc. Easy documentation of Service History. 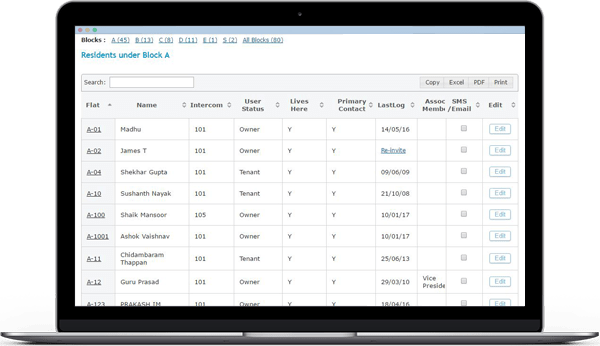 Easily Track Inventory with this Housing Society Management Software. 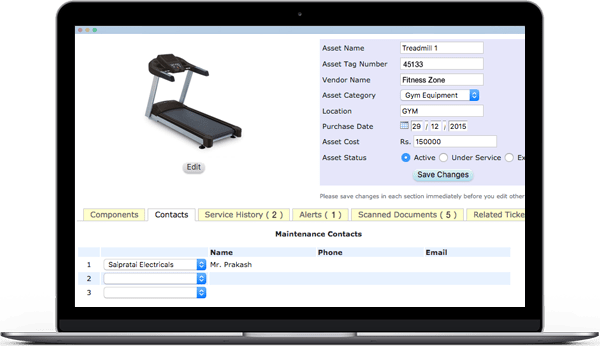 Easy to use and stable Facility Management Software. 2 kinds of Elections are allowed - EC Election or MC Election. In EC Election - the Executive Committee like President/Chairman, Treasurer, Secretary etc. can be Elected. In MC Election - the Management Committee is elected, then the Executive Committee is formed among themselves. 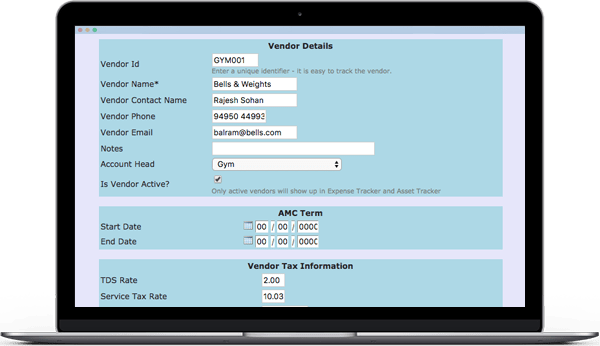 The central directory of your AMC contacts, other maintenance contacts. 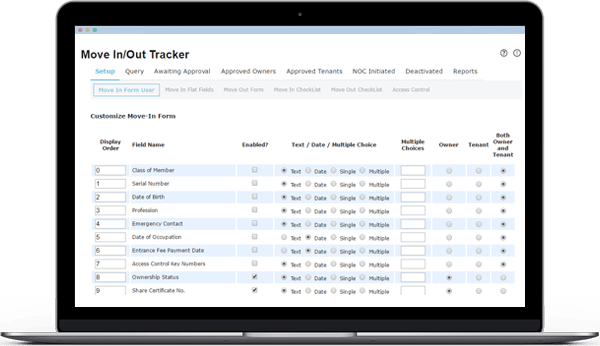 These contacts can be assigned to designated Assets in Asset Tracker. 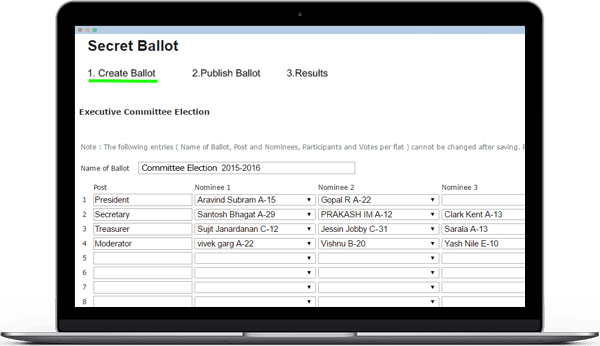 Capture I-Form, J-Form and Share Register Details for each Member. Here you set up the the public face of your Apartment complex ( My ADDA Profile). Residents need not repeat directions to their visitors. ADDA lets them email this page to their visitors. Moderate Messages Posted on the Public Wall of your Apartment. 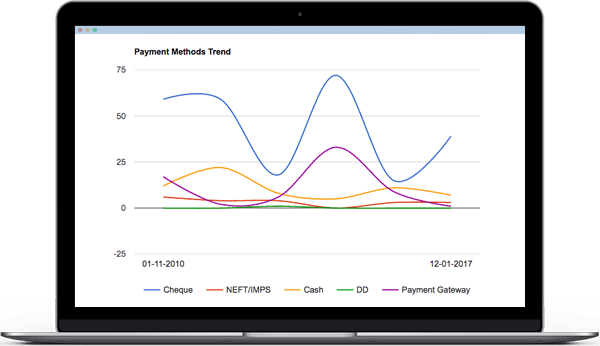 Status such as 'Active', 'Temp', 'Expired' can be assigned to control entry. 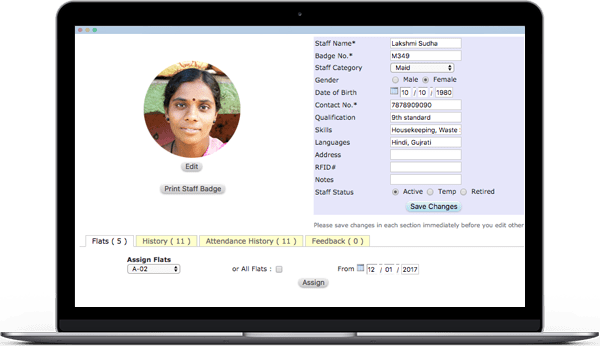 Details such as Badge Number, phone number, email, address, photograph can be stored for each staff member. 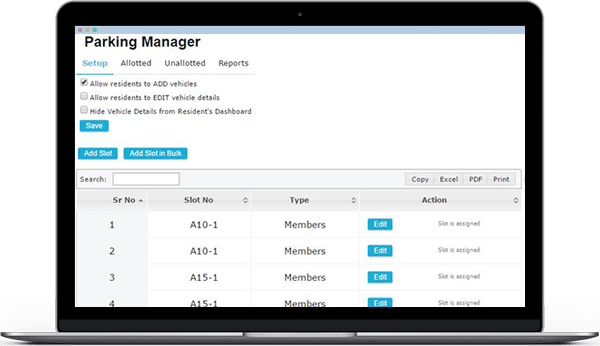 Track all Vehicles, Parking Slots, RFID Tags in one place. Get all Open Parking / Unalloted Slots. Log of all Changes for a Parking Slot can be maintained.